Rio de la Plata. 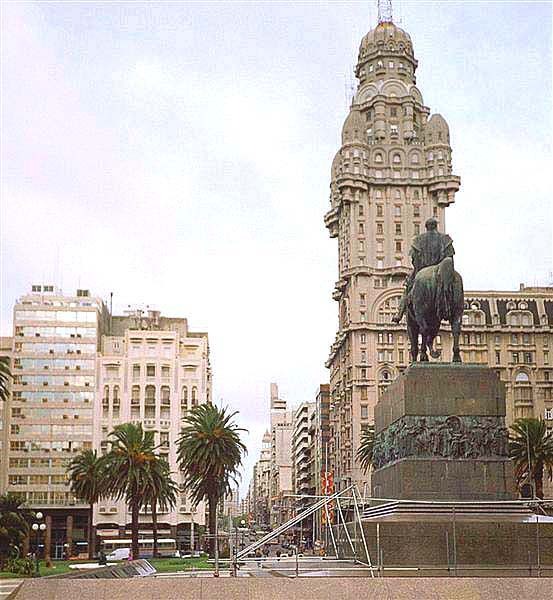 After an overnight stay in the touristy colonial town of Colonia del Sacramento, I stopped over in the capital city (Montevideo) during a quiet weekend. Traveling across the country, the most memorable sight was that of the locals carrying around the tea-like mate that is slurped from an illegal-looking device that includes a wooden bowl and pipe. Everyone had their mate, whether sitting in the park, walking the streets, or driving their car - everyone seemed addicted. 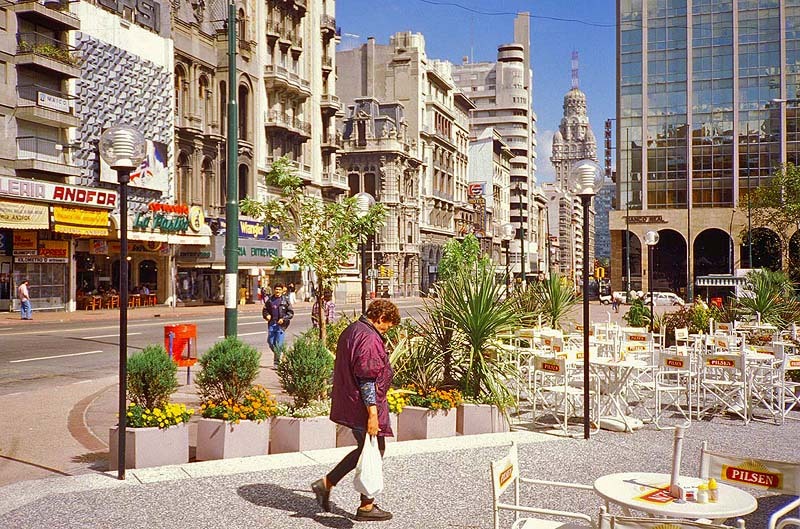 An inviting outdoor cafe in Uruguay's capital city on a very quiet Sunday afternoon. South America's Floss Silk Tree, a.k.a. 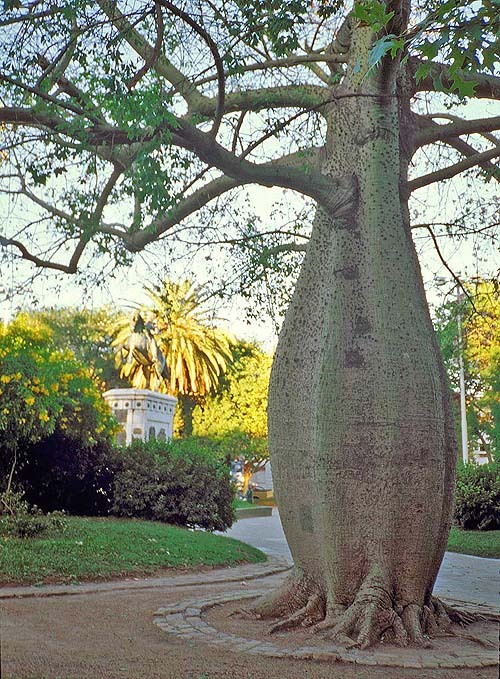 the "Bottle Tree," is similar to Africa's Baobab in that it stores water for the dry periods. This drought-tolerant deciduous tree is able to survive the extremes of temperature and precipitation in the continent's interior. 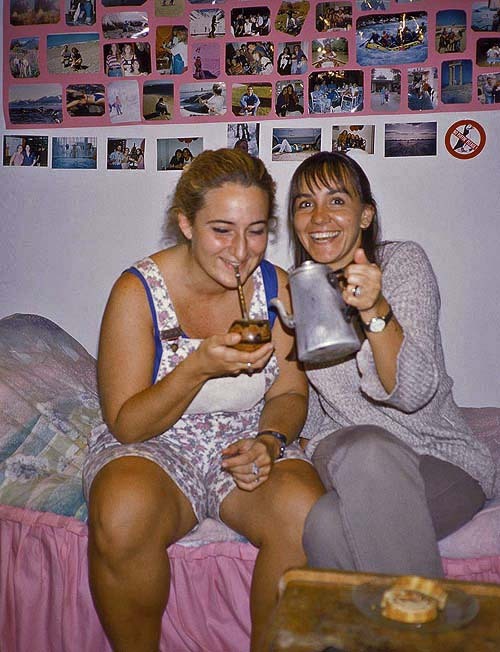 My friend Andrea and her companion drinking their mate, which I told them looked highly illegal.